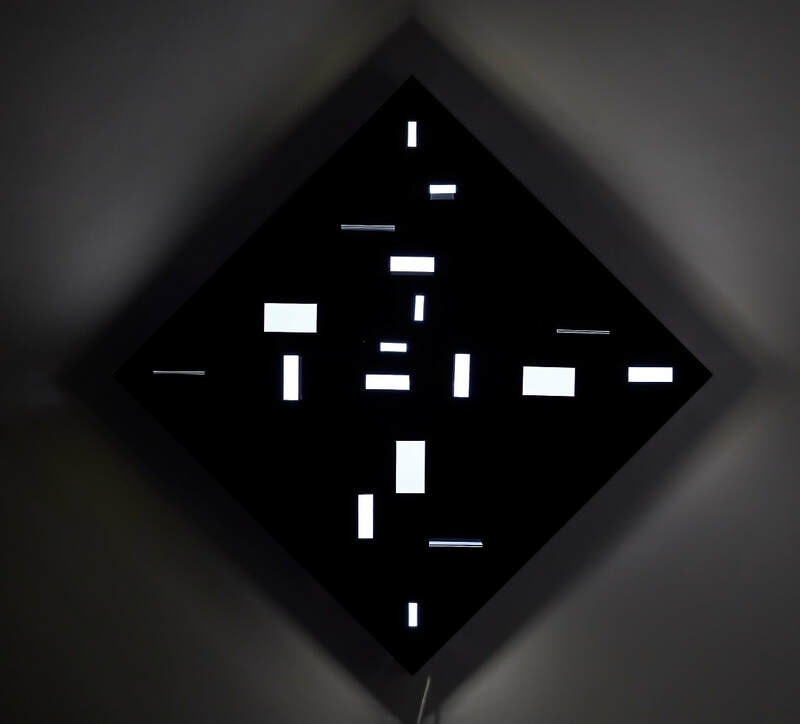 Aphra Shemza is a London based new media artist working with abstraction, interactivity and light. Exploring New Modernism in the 21st Century, Shemza’s work is multidisciplinary making reference to Modernism with a renewed optimism. Seeking to express herself through radical new technologies, Shemza’s work explores the way in which we might use these tools to imagine what the role of art could be in the future. The way in which the viewer responds to the work is key to how it is produced and it is through their presence that the works come to life creating active participation. In using these interactive devices Shemza’s work is accessible to everyone, no matter what their age, education or background.